Freedom 251 website is working fine now; however, it is not taking orders right now. As per the company website it receives around 6 lac hits per seconds; therefore server crashes. The order process will start within 24 hours as per the official freedom website. The delivery charge of the phone is 40 Rs all over India apart from the price of mobile 251 INR, so the total cost of Mobile is 291 with shipping. I think the company will increase the registration date for one day so that people will easily book their phones. Also the website order process is stopped for 24 hours, the time should be increased. The last date of registration is 21 February 8 PM. The phone is cheaper than Airtel 255 Rs. data pack which provides 650 MB data for only for 28 days. In the morning of 18 February I added 251 Smart Phone successfully in my cart but my happiness was gone when the site was not redirected to the payment page after several attempts. In the cart it shows delivery time of 4 months, which was too much wait for the phone. So I dropped the idea of booking the device, now the official website claims that the booked phone will be delivered to the customer till 30th June by Courier. Read Also: How to Book Freedom 251 Mobile? This 3G phone has one year warranty and it has 650 service centres in India. The phone will comes with Android 5.1 Lollipop and it has back camera of 3.2 Megapixel and front camera of 0.3 Megapixels. Battery capacity of 1450mAH will run a full day as per the company and its 1.3 quad core processor gives enough power to the phone. 1 GB RAM and 8 GB ROM with the option of memory card (up to 32GB) is a very good feature to the end user. Apart from all the features the phone has impressive 4.0 inch qHD IPS screen display which will add value to the phone. The specification of the phone is so impressive that it can easily dominate any phone of less than 3000. 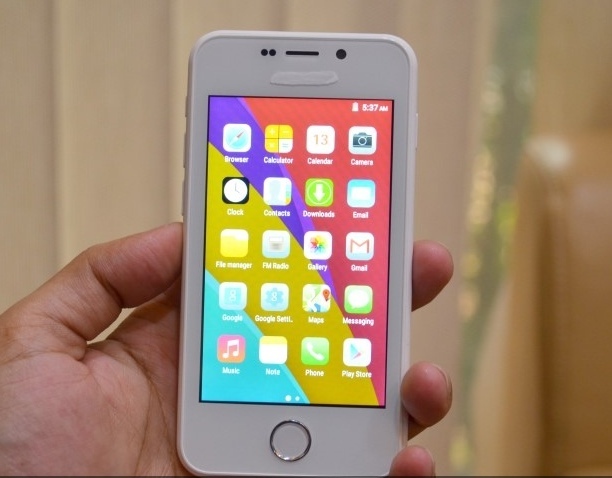 Checked many smartphones under 3000-4000 price range and freedom 251 can be compared with them. I am also confused how a company can give a smart phone at this low price of 251 or under 4$. Those who want to dig more about the company, the official websites are www.ringingbells.co.in and www.freedom251.com. The company is based in Noida and it was established in 2015.